Level to Compete Budget Airlines Market in United Kingdom. The owner of British Airways, IAG, has announced new short-haul routes from its low-cost airline, Level. The low-cost carrier will compete with EasyJet and Ryanair, which offer some of the cheapest flights on the market in the UK when traveling to Europe. Level was launched last year in an attempt to target low-cost carrier Norwegian, Express.co.uk reported. The first new flights will be launched on July 17 in Vienna from Gatwick Airport. Other destinations will include Barcelona, ​​Paris Charles de Gaulle, Milan Malpensa and Dubrovnik as some of the 14 new routes. The announcement has shocked the aviation industry, with the first flights scheduled just weeks away. Flights start at just £ 22 each way, although passengers must pay extra charges for the extras. Cabin bags, meals and seat reservations are all additional at the top of the plane ticket. The next destinations will be launched four weeks after the first route to Vienna. A price war could start between many of the low cost airlines in the United Kingdom. Simon Calder of the Independent warned that it would be a "massive rate war". Willie Walsh, CEO of IAG, said: "We are launching this new short-range subsidiary to offer Austrian consumers more flight options across Europe." Kenny Jacobs of Ryanair told Express.co.uk in response: "We welcome the competition and anything that offers more options for consumers, however, Ryanair will continue to offer the lowest rates in all markets, with a average rate of only 39 euros that nobody else can match. " 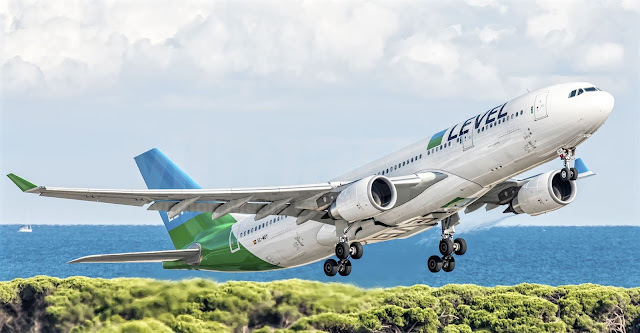 Until recently, Level was primarily a long distance service flying to the US. UU And the Caribbean. Changes in the industry reflect the way people choose to travel since they prefer cheap flights without luxuries. This has a price, with many airlines adding fees that make the ticket much more expensive. Earlier this year, Ryanair announced changes to its hand luggage policy, which meant that only priority guests could carry their bags in the cabin, at a cost of £ 5. Wizz Air recently did the same, forcing standard ticket passengers to store their bags in the hold.